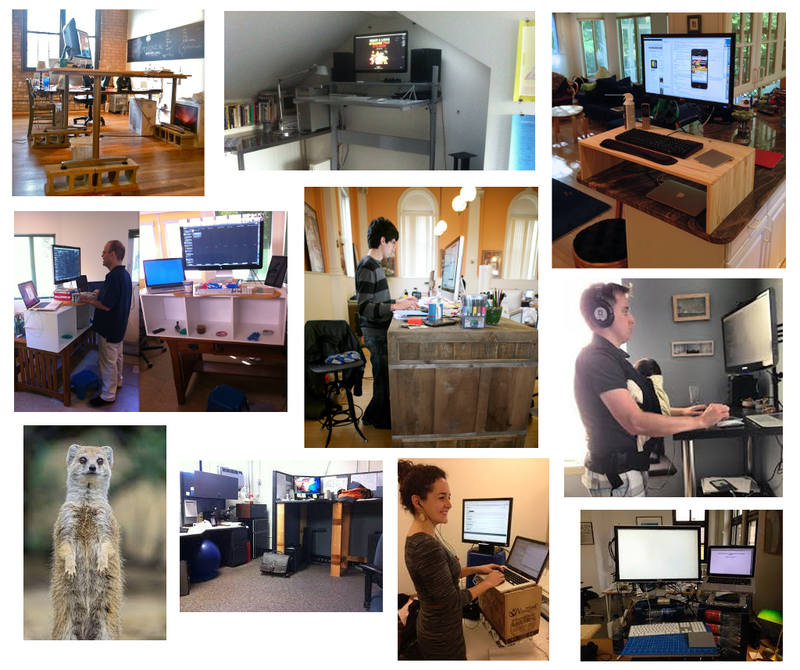 2015 - The Year Of The Standing Desk, You Ready? When you really stop and think about it, it (ought to) hit you that 2015 is an interesting year. Just think about it – the fifteen year old kids running around today were born at the simultaneous turn of the millennium and the century, an event which is rare in the extreme, at least as far as human lifespans are concerned. The demarcation line between generations is a funny thing, but Millennials, as the news has taken to calling them, are undeniably different from those of us who were born in times past. After all, they don’t know what it is to live without always-on access to Facebook and YouTube and Skype, let alone access to the Internet itself. To the modern fifteen year old, the Twin Towers are legends from the pages of a history book. PewdiePie, Heaven help us, is their Michael Jordan. For anyone born before the big double-zero, it’s self-evident that the world has changed, irrevocably and forever. It only makes sense, then, that the same kids who embrace that change with a speed and a passion unlike anything someone not born it it could ever muster wouldn’t bat an eye at the idea of using a standing desk. After all, with driverless cars on the horizon, what’s so strange about standing up to do your schoolwork or your job, especially when this upstart little furnishing all over the news? 2015, to mangle the Chinese Zodiac, has become the Year of the Standing Desk, and in true millennial spirit, furniture and futurism have begun to meld. Keep reading for a few examples of the standing desk’s maturation and evolution from a simple bit of novelty to a full-fledged hybrid of technology, tool, and social symbol. Anyone who’s spent any time researching the standing desk (or perusing this fabulous blog and website!) knows about the health benefits the user stands to benefit from. What you may not know, however, is that standing desks aren’t just a quirky take on a tried and true furnishing – not anymore, at least. It seems odd (and not a little dorky) to describe a desk as “cool”, but when that desk has been crafted by former Apple wizard JP Labrosse, there’s not much else you can say. The sleek, snazzy, and dare we say it, smart M1 standing desk from Stir Co. looks and acts like something out of a sci-fi movie. In fact, if a regular desk had a baby with the iPods Labrosse helped design during his time at Apple, that little bundle of joy would be none other than the Kinetic M1. Admittedly, it wouldn’t make for a very good movie after all, but with features like an integrated touch sector, an upgradable CPU “brain” that learns your preferences and adjusts, quite literally, to suit them, and a build quality that rivals that of the space shuttle, it does make for one heck of a sweet standing desk. The catch, if you’re curious, is that there’s one more hold-over from Apple to be found at Stir: Pricing structure. If you want a M1 of your own, it’ll cost you a cool three grand. That sounds like a lot, sure, but when the desk itself “whispers” to you that it’s time to stand up for a little bit – seriously, that’s the name of this desk’s built-in reminder feature – by gently bobbing up and down a couple of times, you’ll probably do what most M1 buyers before you have done: Grin broadly and remember that coronary surgery brought on by an acute lack of physical activity costs a lot more than three thousand dollars. If there’s one thing which, when taken collectively, can make the standing desk even better (hint: there totally is! ), securing its hold over 2015 as the Year of the Standing Desk once and for all in the process, it would have to be the ever-growing number of standing desk peripherals. Why, even now, with the concept of standing desks just hitting its mainstream stride, there exists a staggering array of mats, chairs, cooling platforms, and even purpose-built exercise equipment for users to sift through. All of these have their uses, obviously, but the undisputed prize for the coolest standing desk peripheral this side of Surfer’s Heaven has to go to the humble, laid-back Level, a surfboard-slash-yoga ball hot off the presses over at FluidStance. The whole idea behind The Level is to kick your standing desk workout into maximum overdrive with a minimum of fuss. In other words, you’re meant to get a workout without feeling as if you’re working out. Designed in a handsome, customizable aluminum and wood base configuration, the user stands on the platform and balances, working against The Level’s gentle rocking motion to remain in a stable and upright position. It’s a simple, physically and environmentally low-impact, and frankly commercially ingenious way to really tone your core (among other areas), and people are taking notice. Crowdfunders have already helped FluidStance knock production out of the park; they’re in second-round distribution thanks to donors’ 275%+ funding donation. You can get your own for roughly $280 USD, though customization and other extras will, of course, cause price fluctuations. Oh, and there’s one more thing: The Level could admittedly use some work on its name, but the product itself makes you forget about such a minor flaw. Of course, what good would a glorious workout tool like this be without a workout plan? None, of course, which is why one comes included – the yoga routine is a non-standard extra, though. While there must be a catchy portmanteau of “century” and “millennium”, it eludes me at present – maybe it’ll be in the next blog, so stick around! Seriously though, it’s enough to say (mostly because it goes without saying) that 2015, to say nothing of the years ahead, is a very exciting time to be alive. Year of the Rat? Forget about it! Nowadays, even the furniture is radical enough to get a spot on the calendar! George Jetson, eat your heart out. Until next time, friends. See you soon!